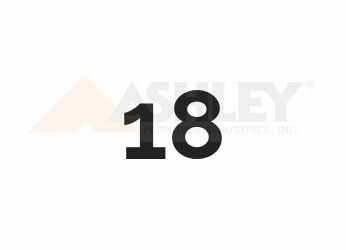 How Old do you Have to be to Work at Ashley Furniture? Does Ashley Furniture Drug Test? Ashley Furniture careers are ideal for individuals with a passion for quality, classic home furnishings and a drive to deliver amazing customer service. If this sounds like you, read on for everything you need to know about working for Ashley Furniture. Established in 1945, Ashley Furniture has a 70+ year history of creating timeless, stylish, high-quality furniture pieces. Today, they are known as the #1 furniture manufacturer in the world, a truly incredible honor! With over 800 Ashley HomeStore locations and 6,000 retail partners selling their furniture brand throughout the world, Ashley Furniture has a presence in 123 countries. Joining the team at Ashley Furniture means being a part of an impressive brand focused on making “style and selection affordable” while continuously innovating on their product. The guide below will provide additional information on the most popular jobs at Ashley Furniture, insights into the application process, and tips for nailing your interview! Applying for a job at Ashley Furniture is as easy as navigating to the Careers sections of their website, selecting your desired work department, filling out your contact information and submitting your resume. There are a number of roles available in Ashley Furniture stores, including: Retail Sales Associate/Product Specialist, Customer Service Representative, Porter, Delivery Driver, and Customer Relationship Specialist. The Sales Associate/Product Specialist role is responsible for generating sales while providing a top-notch customer experience. Sales Associates have strong product and promotion knowledge, and a willingness to ensure the store looks its best for customers. Strong communication skills are a must in this role, as is the ability to reach and exceed monthly sales quotas. While this is an entry-level position, at least two years of experience in sales is desired. You should apply for this role if the above sounds like you and you have flexible availability! Customer Service Representatives are tasked with a number of administrative activities, including completing sales transactions, explaining customer terms, answering and routing phones and supporting the Sales Associates through knowledge of inventory. They work closely with internal team members and customers, so excellent communication and organization skills are a must. This entry-level position is ideal for friendly individuals with an ability to multi-task and a strong desire to help teammates and customers through the sales process. The Porter role is ideal for applicants that like a variety of responsibilities in an exciting, fast-paced work environment. The Porter is responsible for ensuring the store is clean and organized, assisting with floor design placement, receiving furniture, and conducting minor store repairs and furniture touch-ups. Apply for this role if you enjoy a fun work environment, and have strong attention to detail and organization skills. While it is an entry-level role, at least one year of experience in warehouse or custodial work is generally preferred. Delivery Drivers are responsible for delivering all furniture and accessories to customers and stores safely. In this role, individuals ensure all furniture is in excellent condition before leaving the store and perform minor touch-ups and repairs if there is any damage in transit. A strong customer focus is a must in this role and is a strong eye for cleanliness and safety. Apply to be a Delivery Driver if the above sounds like you, you have at least 1 year of experience and you hold a Class B Driver’s License. The Customer Relationship Specialist is 100% dedicated to ensuring customers receive best-in-class service while in store, on the phone, or online. Responsibilities of this role include resolving customer complaints, answering questions, and moving between several internal systems to research responses. In addition, Customer Relationship Specialists process refunds, process cash, check and credit card transactions, makes bank deposits and balances the store’s deposits and cash registers. Strong attention to detail, excellent organization skills, and an ability to multi-task are a must in this fast-paced role. Individuals should apply if they enjoy working directly with customers and can quickly think on their feet to resolve any issues. There are a wide variety of manager positions available in Ashley Furniture stores, including Sales Manager, Merchandising Manager, Customer Service Manager and Store Manager. Sales Managers are responsible for the store’s sales team, ensuring they meet their quotas while continuing to provide an excellent customer experience. Sales Managers are role models for their team, creating a fun working environment and driving growth. In addition, Sales Managers recruit, hire and provide training to their sales team. The Merchandising Manager is responsible for maintaining the look of the showroom across multiple stores, including displays and lighting. Merchandising Managers order all supplies, oversee all store maintenance projects and ensure employees display merchandise appropriately on the showroom floor. You will need at least one year of experience in interior design or furniture sales for this role. The Customer Service Manager is responsible for building and coaching a team of Customer Service Representatives in stores. They resolve employee issues, manage start and ongoing training for store staff and partner with store management to ensure staff meet all goals. A can-do attitude is necessary in this role! The Store Manager oversees all store operations to ensure both a successful store and an excellent customer service experience. They are responsible for ensuring targets are met or exceeded, and act as role models for all store employees and members of the management team. Store Managers lead team meetings, ensure a positive work environment and participate in all new hire training. How Much Does Ashley Furniture Pay (Hourly & Salary)? Benefits at Ashley Furniture may vary based on position but generally include a 401K plan, medical, vision and dental insurance, bonuses and a furniture discount. Some employees may additionally be eligible for gym and tuition reimbursement. Ashley Furniture does conduct a drug test upon hire. Based on our research, they do not conduct random testing otherwise. It is recommended that you keep drug testing in mind when applying for Ashley Furniture. If you have questions about the process, be sure to ask your hiring manager and/or read over the paperwork provided upon hire. Do you have an interview scheduled with Ashley Furniture? Congratulations! Below are some of the most common interview questions followed by suggestions for nailing the answers! 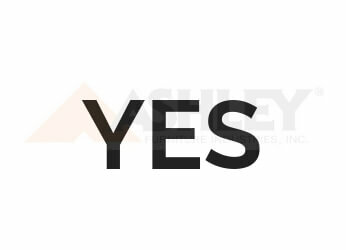 Why do you want to work for Ashley Furniture? This is one of the most common questions you can expect to be asked during your interview. It’s important to have a thoughtful answer for this one! Some things to consider when coming up with your answer are: Why Ashley Furniture? What about their history or work environment do you find exciting or challenging? Do you have a passion for customers and interior design? Let your interviewer know! Tell us about a challenging work environment and how you handled it. This is a great opportunity to discuss your previous employment. It’s important to not badmouth any prior companies or customers but, instead, discuss how you handled the day-to-day challenges of your previous role(s). Did you go above and beyond for a customer? Was there a particularly difficult promotional weekend that meant a lot of running around? Rather than highlight any bad experiences, use this opportunity to show how you handle fast-paced, high-pressure situations! Another commonly asked question! Try to avoid simply stating your strengths but, rather, come prepared with a few examples that really highlight those strengths. Many applicants feel that they cannot really discuss their weaknesses. Not true! It’s okay to share your weaknesses. Think of your weaknesses as opportunities for growth. What areas can you grow in? What can you improve? The interview is a great time to dress to impress. For Ashley Furniture, business professional dress is recommended. This means wearing a business suit and ensuring that you look clean and put together. Whether you applied online or in-person, it’s always a good idea to bring a few copies of your resume to the interview. From there, pack any items that may help you freshen up for the interview, such as mints or a bottle of water. Additionally, bring a notepad and pen for both taking notes – which shows interest! – or jotting down any questions you may want to follow up on afterwards.